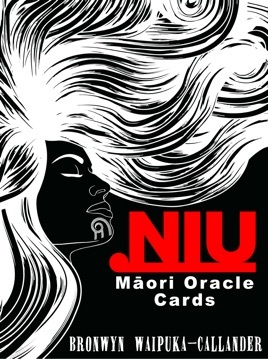 Based on a deck of 56 Māori influenced oracle cards, this book presents an intuitive ethnic guidance that has come from the heart of Aotearoa, New Zealand. Enriched with Māori knowledge and cultural values, it offers the reader a brief insight into the unique and spiritual world that is Māori. It also offers an opportunity to experience divine wisdom and well-being through connecting with our Wairua (Spirit) and our Tūpuna (Ancestors). This guide is unique in the way that it binds modern day ‘Mindfulness’ analogies with Māori cultural philosophies and traditions. Please be aware that this book is optimised for newer iPad devices. It uses a FIXED LAYOUT design. This means the page layouts are preserved, maintaining the same format as a printed book. It does not have many of the functions a flowable eBook offers. This guide book is so much more than information on the Oracle cards. There is a wealth of knowledge about Maori culture and beliefs. A huge amount of research and thought has gone into this work. Well worth downloading especially as it’s free!!! !